Youth, grades 6th-12th, are invited to join. We're going to gather in the youth house (2124 Fox Den Dr.) on Friday, November 18th from 7:00p-midnight for food, glow in the dark volley ball, games, shenanigans, and an Escape the Room contest. 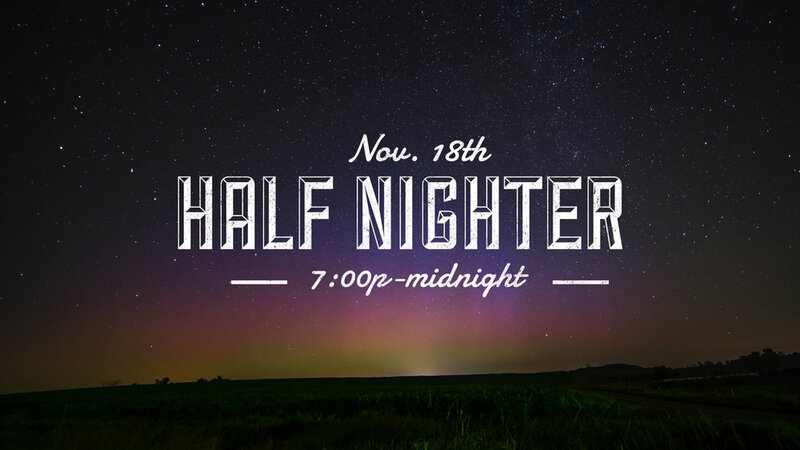 It's only a half nighter but we're packing in a full nights worth of activities for only $10. Questions? Contact Nathan Persell, our Youth Director below.